The PDF is a versatile file type which can handle both images and text well on a variety of devices. Not every one displays them as well as others, though, and in the case of ebook readers, there are often better options. 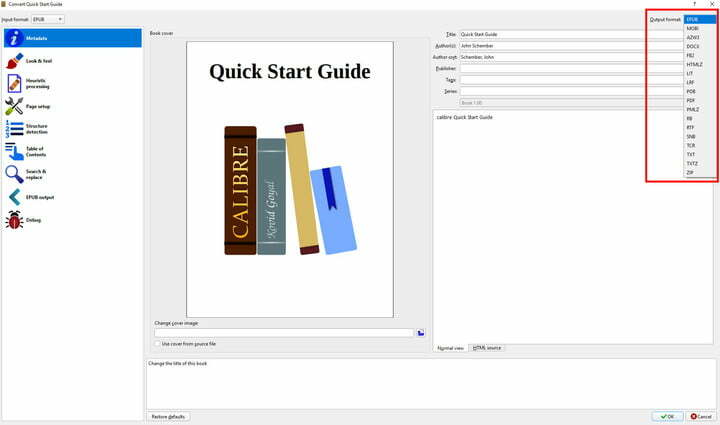 With that in mind, in this guide, we’ll teach you how to convert a PDF to EPUB document in several different ways. As easy as it is to convert PDFs to EPUBs, it’s also a cinch to convert a PDF to a Word document. If you want to edit that PDF before converting it any format, make sure to check out our guide to the best PDF editors. 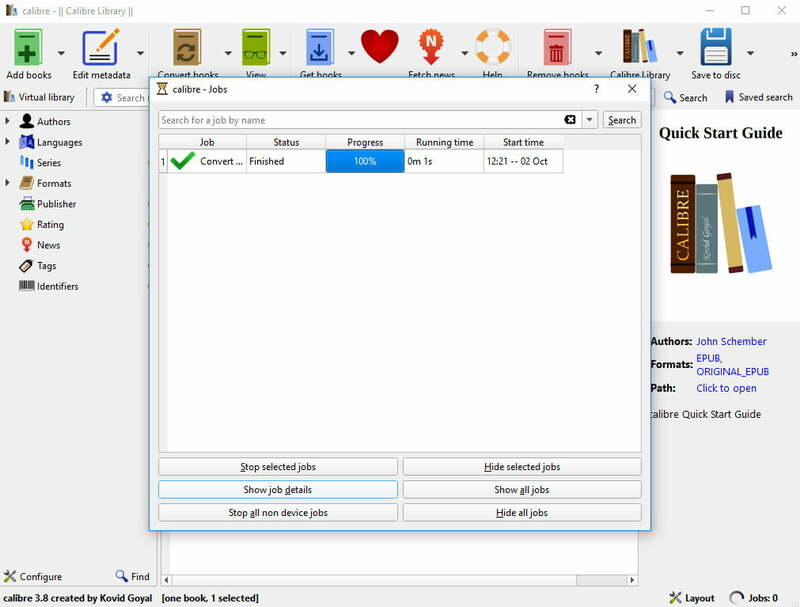 The open-source Calibre is a great piece of ebook software for Windows, MacOS, and Linux, and includes a file conversion feature among its suite of tools. 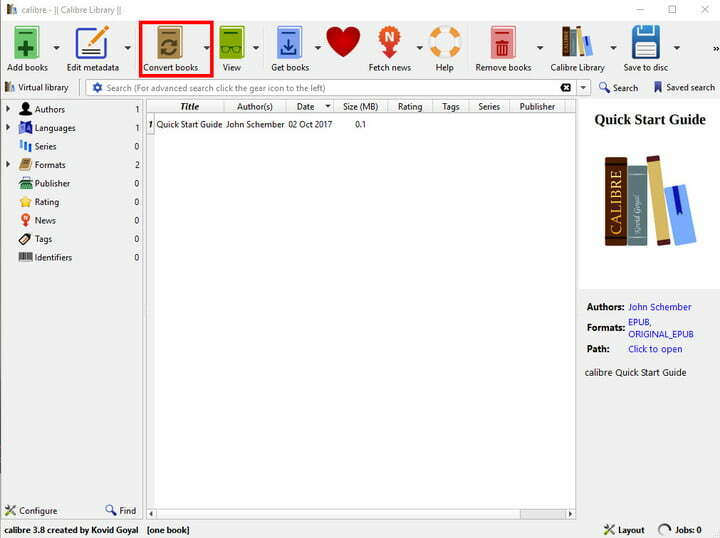 Here’s how to make that PDF-to-EPUB conversion. Step 1: Drag and drop the PDF you want to convert into Calibre, or click the “Add books” icon in the top left-hand corner and select “Add books from a single directory.” Then, choose the PDF you want to convert. 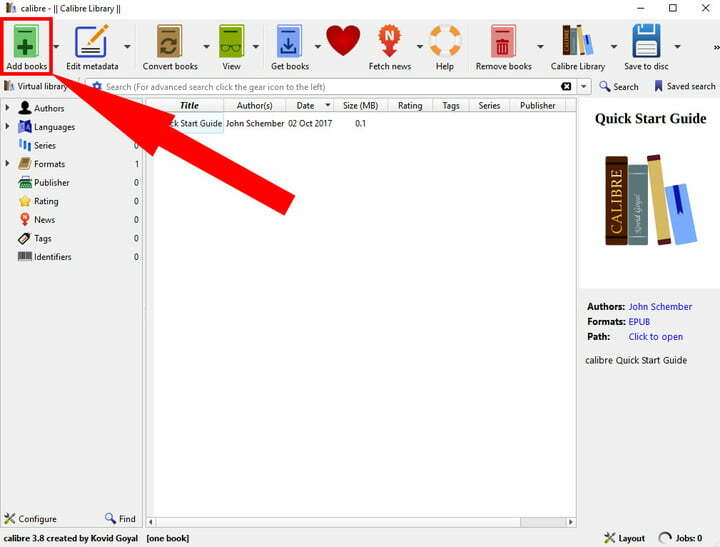 Step 2: Highlight your book from the main-window list and then click the “Convert Books” button. Step 3: Choose the “EPUB” output format using the drop-down menu on the right-hand side and make any necessary adjustments to the title and other details. Step 4: Once the conversion is complete, you can click the “Jobs” icon in the bottom right-hand corner to find out more. Clicking “Show job details” will show you where it was output to. 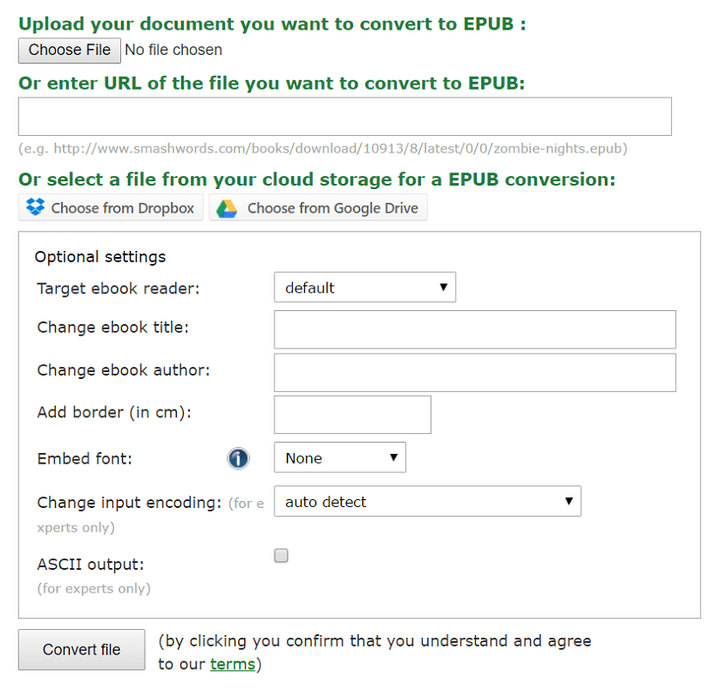 You can now use your newly converted EPUB document as you wish! Online Convert is one of the more reliable web-based options out there, and you can use it to convert a wide variety of file types. Aside from converting PDFs to EPUBs, you can also do conversions such as DOCX files to DOC. Step 1: Navigate to the main Online Convert homepage and select the EPUB format listed under the “Ebook converter” heading. Step 2: Find the PDF file you want to convert by clicking “Choose File,” “Choose from Dropbox,” or “Choose from Google Drive.” Alternatively, enter the URL leading to the PDF. You can also enter additional information regarding the book, such as the title or author. Step 3: Click “Convert file” and wait for the conversion to complete. Afterwards, you’ll be able to access the file from its designated folder. 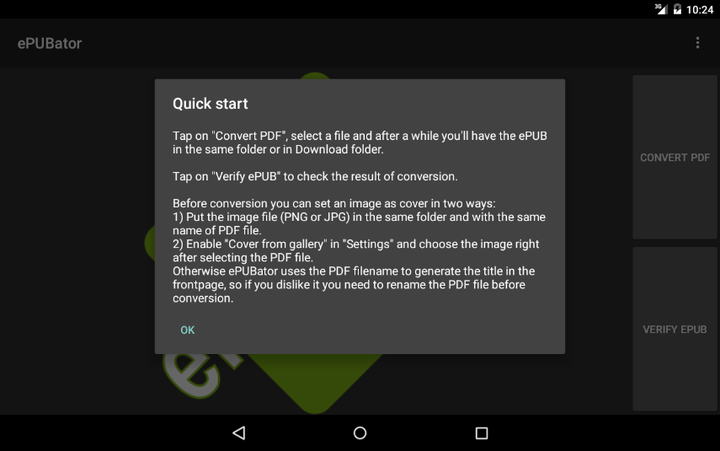 The EPUBator app for Android allows you to convert PDFs directly on your smartphone or tablet. It’s easy to use, too, rendering it a go-to solution for those looking to convert PDF files on the go. Step 2: Locate the folder on your smartphone or tablet that contains the PDF you want to convert. Once found, select it. Step 3: The conversion process should begin automatically. Once finished, tap “Verify EPUB” to confirm the conversion worked as intended. The new EPUB file should be in the same folder as the original PDF. You can also halt the conversion for whatever reason by tapping “Stop” during the conversion process. 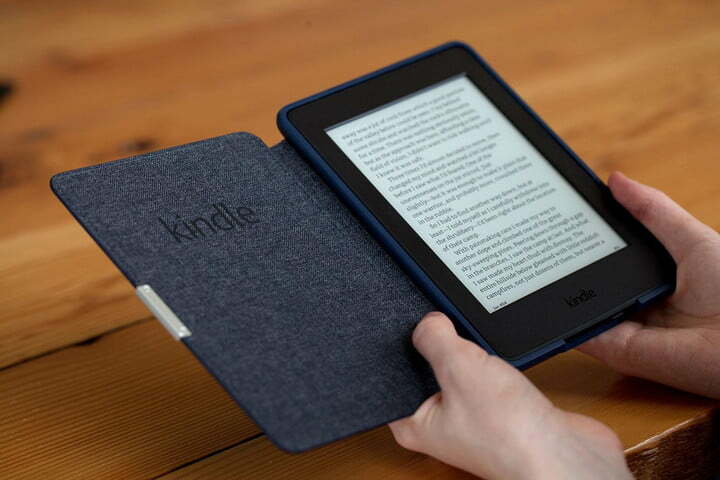 Now that you’ve made your new EPUB document, if you need a new ebook reader to view it on, these are our favorites.